To begin with, it is probably easier to describe what cremation isn’t. Cremation is not final disposition of the remains, nor is it a type of funeral service. Rather, it is a process of reducing the human body to bone fragments using high heat and flame. All organic bone fragments, which are very brittle, as well as non-consumed metal items are “swept” into the front of the cremation chamber and into a stainless steel cooling pan. All non-consumed items, like metal from clothing, hip joints, and bridge work, are separated from the cremated remains. This separation is accomplished through visual inspection as well as using a strong magnet for smaller and minute metallic objects. Items such as dental gold and silver are non-recoverable and are commingled in with the cremated remains. Remaining bone fragments are then processed in a machine to a consistent size and placed into a temporary or permanent urn selected by the family. Virginia Board of Funeral Directors and Embalmers regulations state “Cremated remains shall be placed in a plastic bag inside a rigid container provided by the crematory or by the next-of-kin…” The Cremation Society offers a variety of affordable urns or the family may choose to provide a container in which the cremated remains will be placed. Never. Not only is it illegal to do so, but also most modern cremation chambers are not of sufficient size to accommodate more than one adult. Thus it would be a practical impossibility to conduct multiple cremations simultaneously. Deceased is placed in cremation container (law in Virginia) and the person’s name is written directly on the container. The county medical examiner or coroner acknowledges awareness of the death and verifies cause of death or requires an autopsy or investigation. The death is recorded with the county and a cremation certificate is issued. The death certificate is filed with the State. Certified copies of the death certificate are available to the family, giving us the authority to perform the cremation. Only now can the cremation be performed. The cremation is logged in the record book. The name of the deceased, date, cremation chamber used, time started, and operator’s name are recorded. Copies of 3, 4, and 5 are attached to the outside of the cremation chamber. Paperwork is prepared in the office while the cremation is taking place. Immediately following the completion of the cremation the cremated remains are placed in an urn or temporary container with the deceased’s name already on the container. Certified Death Certificate, a signed Cremation Authorization, and a cremation certificate signed by the Medical Examiner. An urn is not required by law. However, an urn may be desired if there is to be a memorial service or the cremated remains are to be interred in a cemetery. If an urn is not selected, the cremated remains will be placed in plastic bag then placed in a container provided by the family. No, a casket is not required for cremation. Effective July 8, 2009, Virginia requires a cremation container which is able to be closed, rigid, and resistant to leakage or spillage. Yes, immediate family members may briefly view the deceased prior to cremation in our private viewing room. The deceased is first dressed and prepared for viewing. However, under certain circumstances embalming may be required, such as a public visitation. Virginia Board of Funeral Directors and Embalmers regulations state “Cremated remains shall be placed in a plastic bag inside a rigid container provided by the crematory or by the next-of-kin…” The Cremation Society of Virginia offers a variety of affordable urns or the family may choose to provide a container in which the cremated remains will be placed. Due to the above regulation, and by how this regulation is perceived by the Cremation Society of Virginia (CSV), we will no longer release cremated remains in a cardboard/plastic box type container. We take this regulation seriously and strongly believe that the container that your loved one’s cremated remains are to be placed in does need to be deemed acceptable. If you are planning on providing your own full size urn/container for your loved one’s cremated remains, you must abide by our standards before the cremated remains will be released to you. The container must be made of a rigid material. It must have a method of closure either a top that can be secured or a bottom that can be secured. It must be large enough to accept all of the cremated remains, no smaller than 200 cubic inches inside dimensions. It must have an opening large enough to facilitate the placement of the cremated remains inside in a manner that is ethical. If the full size container that you provide does not have at least a 3” opening, it will not be an acceptable container. If you are unsure if the container is acceptable, please have it approved prior to the scheduled release of your loved one’s cremated remains. 18VAC65-30-230. Content of disclosure statements. Contracts may be funded by insurance/annuity policies, trusts, or transfer of real estate/personal property. If you funded your preneed arrangement through a revocable trust and you cancel the preneed contract AFTER the 30-day deadline, you will be refunded all of your money on the items that are not guaranteed and 90% of all your money on the items that are guaranteed. You will also receive any interest or income on that amount. A revocable trust is a trust that you can cancel. If you have funded your preneed arrangement through an irrevocable trust you will not be able to cancel the trust agreement or receive a refund after 30 days following its executive except in accordance with § 64.2-729 of the Code of Virginia. If you funded your preneed arrangement through an insurance policy/annuity contract which will be used at the time of your death to purchase the supplies and services you have selected, you will need to pay careful attention to the cancellation terms and conditions of the policy. You may not be eligible for a refund. Your money will be handled in one of several ways. It may be deposited in a separate trust account in your name. The trust account will list a trustee who will be responsible for handling your account. The funeral home you have selected as your beneficiary will also be listed. You have the right to change the funeral home and the trustee of your account prior to receiving the supplies and services under the preneed contract. Your money may be used to purchase a preneed life insurance policy which may be used to pay for your arrangements upon your death. 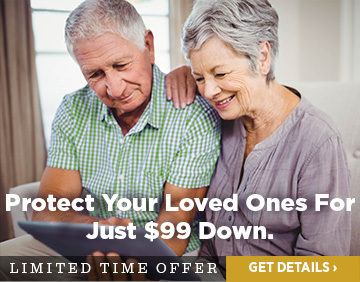 The proceeds of the policy will be assigned to the funeral home of your choice. You may change the funeral home assignment at any time prior to receiving the supplies and services under the preneed contract. You may decide to choose a life insurance policy or a trust account that requires regular premium payments and not have to make an up-front, lump sum payment. Yes. When you pay for these supplies and services in whole or in part with any real estate you may own, the preneed contract that you sign will be attached to the deed on the real estate and the deed will be recorded in the clerk’s office of the circuit court in the city or county where the real estate is located. If you pay for goods and services with personal property other than cash or real estate, the contract seller, will declare in writing that the property will be placed in a trust until the time of your death and will give you written information on all the terms, conditions, and considerations surrounding the trust. The contract seller will confirm in writing that he has received property. In either case, the written statements will be recorded in the clerk’s office of the circuit court of the city or county in which you live. The written statement does not have to be a separate document. If the entire funeral or specific items in the agreement are guaranteed by the contract seller, your family or estate will not have to pay any more for those items provided that you have paid the grand total in full and all interest earned is allowed to accumulate in your account. However, if you have not paid the account in full and have not allowed the interest to accumulate in the account and any items increase in price, your family or estate would be responsible for the extra amount if the funds are not sufficient. In some situations where you pay toward your funding with regular premiums rather than in one lump sum, your account may not be enough at the time of your death to cover everything. After funeral expenses are paid, there may be money left over. Because of the ongoing risk that a funeral home takes in guaranteeing prices for you, the funeral home may not be required to return this excess money. Some funding agreements and funeral homes, however, require that extra money be returned to the estate or family. Others do not. You should obtain information concerning this in writing before signing the preneed contract. The answers to the following questions will depend upon the terms and conditions of the individual’s funding and preneed agreements. The new funeral home is under no obligation to honor the original price for goods and services. If you make such changes, it could void your contract. You should request specific information from the contract seller and the funding arrangement. The prices for the goods and services are no longer guaranteed. Unless the contract has been made irrevocable, 100% of funds paid towards services not rendered or merchandise delivered shall be refunded together with any interest or income accrued. Some trust accounts cannot be cancelled. If I pay my trust in premium payments, what happens if I die before the grand total of the funeral has been placed in trust? The unpaid amount is due and payable by the family prior to fulfillment of the preneed funeral contract. If, before your death, the funeral home goes out of business or is otherwise unable to fulfill its obligation to you under the preneed contract, you have the right to use the proceeds at the funeral home of your choice. If the inability to provide services does not become apparent until the time of your death, the individual that you named as your designee could use the funds for services at another funeral home. If the funeral home or supplier has a storage policy you may ask for this service. If the funeral home or contract seller agrees to store these items, the risk of loss or damage shall be upon the funeral home during the storage period. For example, what would happen if you select a casket which is in-stock at the time you make these arrangements and the funeral home or supplier agrees to store it for you in their warehouse and: (i) damage occurs, (ii) the funeral home or supplier goes out of business, (iii) the funeral home or supplier is sold, etc.? You need to be assured in writing of protection in these types of situations. The funeral home which you have chosen to conduct your service may be able to only provide certain types of services. They may not be able to fulfill your request. If there is a restriction on what they can provide, you will be notified in writing before you sign the preneed contract. If the funeral home agrees in writing before you sign the contract to perform such services, the funeral home shall provide you a written, itemized statement of fees which you will be charged. Again, the funeral home may have restrictions on the distance they are willing to travel to conduct a burial. If restrictions apply, you will be notified in writing. If the funeral home agrees in writing before you sign the contract to honor your wishes, the funeral home shall provide you a written, itemized statement of any penalties (fees) which you will be charged. I may die and be buried in a city other than one where the funeral home that I select for my goods and services is located. Will the funeral home that I select under this contract deliver my merchandise to the city where I die and am to be buried? How will I know that the prices of items which I select are the same for everyone? You may ask a funeral home to purchase certain items or make special arrangements for you. If the funeral home charges you for these services, you will receive an explanation in writing. The charges to you for these services may be higher than if you or your family purchased them directly. At the time of your death, your family or estate will be given an itemized statement which will list all of the specific charges. What is meant by guaranteed and nonguaranteed prices? Guaranteed prices are those that will not increase for your family or estate at the time of your death. Basically, this means that your funeral arrangement for those items will be covered by and will not exceed your funding and the interest it earns. Nonguaranteed prices are those which might increase or decrease. The nonguaranteed prices may be written in at the time of this contract with you understanding that the price is an estimate only and may increase or decrease. A settlement to that effect may have to be made with your family or representative after your death. Can the contract seller and I negotiate a projected charge for the nonguaranteed items based on the rate of inflation? Do I have to buy a vault or a container to surround the casket in the grave? Do certain cemeteries and crematoriums have special requirements? Except in certain special cases, embalming is not required by law. Embalming may be necessary, however, if you select certain funeral arrangements such as viewing or visitation with an open casket. You do not have to pay for embalming you did not approve if you select arrangements such as a direct cremation or immediate burial. If the funeral home must charge to conduct an embalming, your designee will be notified of the reasons in writing. This is all very confusing to me. May I pick someone close to me to help with all of this? May this person also work with the funeral home to ensure that my wishes as written in the preneed contract are carried out? Where can I complain if I have a problem concerning my preneed contract, the contract seller, or the funeral home?